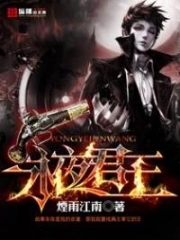 You’re reading novel The Demonic King Chases His Wife: The Rebellious Good-for-Nothing Miss Chapter 614 online at LightNovelFree.com. Please use the follow button to get notification about the latest chapter next time when you visit LightNovelFree.com. Use F11 button to read novel in full-screen(PC only). Drop by anytime you want to read free – fast – latest novel. It’s great if you could leave a comment, share your opinion about the new chapters, new novel with others on the internet. We’ll do our best to bring you the finest, latest novel everyday. Enjoy! Getting to the heart of the matter, wasn’t it also because of that loathsome girl? A cold, stern smile appeared in the Empress’s eyes, this expression flashed by quickly and vanished without a trace. Once again glancing at the Empress, the Empress was as dignified and prudent as before. After about an hour later, Nangong Liuyun arrived, with Su Luo following at his side. Emperor Jing heavily slapped down the evidence sheets of impeachment and the legal seal on the table. Such a small effort in a short time, and the impeachment papers for His Highness Prince Jin were like snowflakes falling in the imperial study. Stacked together, it was actually one third of a meter high. At this moment, Emperor Jing’s heart was very displeased. Both because of the Crown Prince’s stupidity was beyond belief, and also because of Nangong Liuyun’s fierce ruthlessness and heartlessness. Nangong Liuyun gave a slight greeting, standing expressionlessly beneath the emperor. Confronted with Emperor Jing’s sudden rage, Nangong Liuyun was still unperturbed as the wind. The corner of his mouth actually even hooked into a ghost of a smile. “We, the empire, is in the middle of asking you! !” Emperor Jing heavily slapped the table with the palm of his hand. In front of this son, he really needed to find the dignity as the father and ruler. It was always him spitting anger and flying into a rage, whereas the one being scolded was unperturbed without a ripple, calm and collected. This made Emperor Jing feel like an idiot performing a one-man comedy show. Emperor Jing was immediately stumped by the question, he found the time to glance at the Crown Prince, seeing his evasive expression, Emperor Jing couldn’t help but sigh in his heart. The Crown Prince had now changed into this appearance, he couldn’t avoid saying this was to the second child’s credit. Second child was truly too outstanding and dazzling. Over these years, the Crown Prince had always lived in his shadow, it was also no wonder that he would take the wrong path. With regards to schemes, if second child wanted to trap the eldest, the eldest child would never be able to escape. Su Luo, who was standing beside Nangong Liuyun, drew in a cold breath of air. In front of the emperor and empress, Nangong Liuyun actually dared speak such a thing, ah. His poisonous tongue danced, nothing was taboo, didn’t he see the emperor and empress’s complexion were already rigid. “You——” The Crown Prince’s rage in his heart soared to the heavens, but unfortunately, he didn’t have the kind of poisonous tongue that Nangong Liuyun had. So, a retort wouldn’t come out. Emperor Jing helplessly heaved a sigh. Even an honest and upright official would have difficulty resolving a family dispute, Emperor Jing had an extreme headache. Emperor Jing’s words were clearly partial to the Crown Prince. Because of the noisy activity that Nangong Liuyun had created, taking all of the Crown Prince’s loss into account, it was no more than several hundred green-colored crystal stones. But now, this old emperor wanted to settle the debt just like this with a stroke of a brush. The Crown Prince was secretly delighted, if it was indeed so, he figured he could still accept it. You're reading novel The Demonic King Chases His Wife: The Rebellious Good-for-Nothing Miss Chapter 614 online at LightNovelFree.com. You can use the follow function to bookmark your favorite novel ( Only for registered users ). If you find any errors ( broken links, can't load photos, etc.. ), Please let us know so we can fix it as soon as possible. And when you start a conversation or debate about a certain topic with other people, please do not offend them just because you don't like their opinions. You're reading The Demonic King Chases His Wife: The Rebellious Good-for-Nothing Miss Chapter 614. This novel has been translated by Updating. Author: Su Xiao Nuan,苏小暖 already has 11749 views. Current Time is Apr-22-2019 16:35:37 PM.